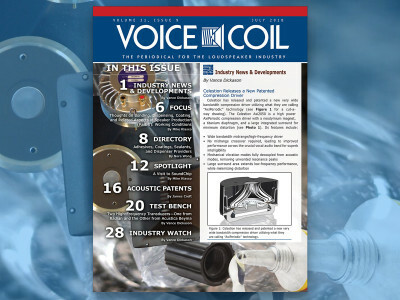 The Voice Coil July 2018 edition is now available and full of great content and insights, apart from the indispensable patent reviews and Test Bench reviews. 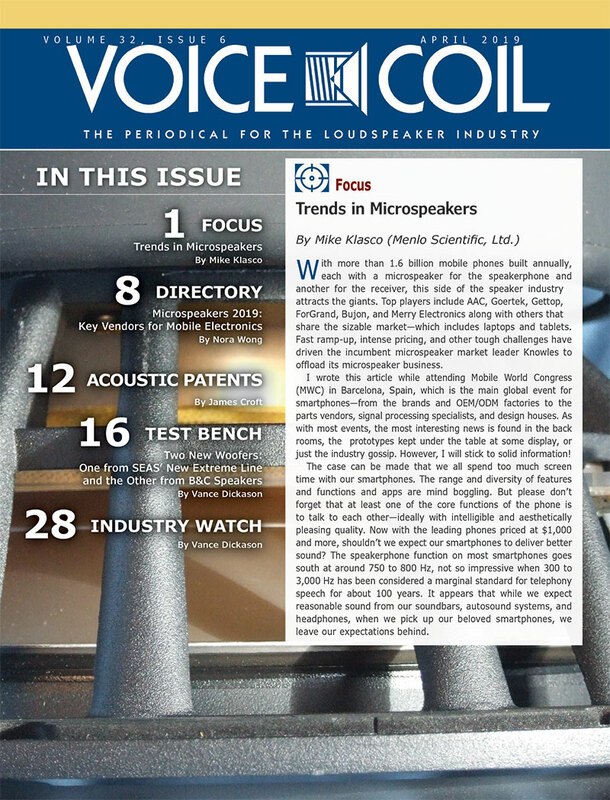 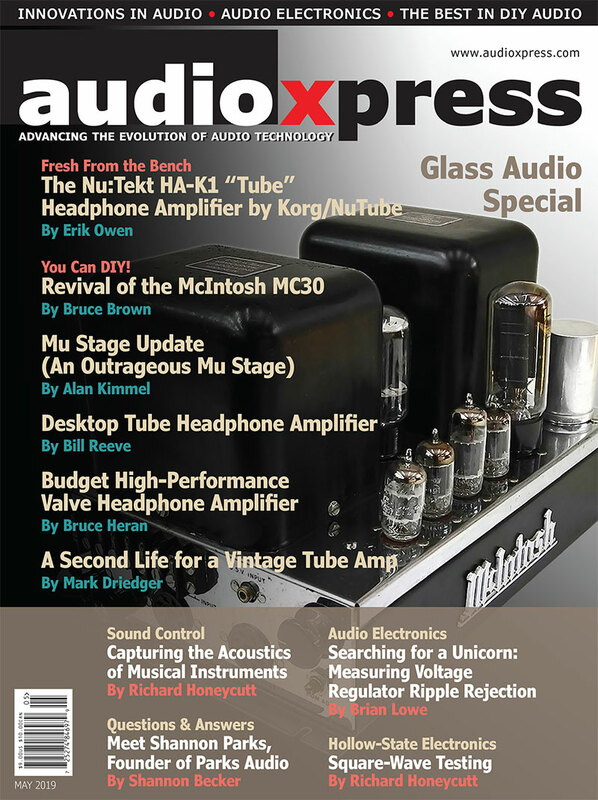 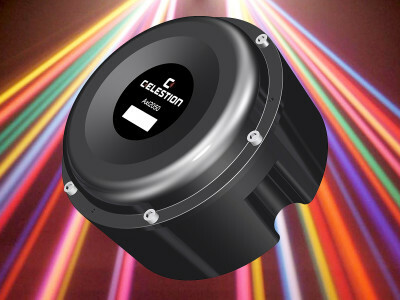 This edition focuses on Bonding, Dispensing, Coating, and Related Aspects in Speaker Production, and features a great article by Mike Klasco on the topic, as well as an updated industry directory. 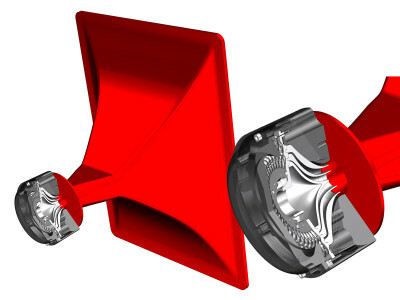 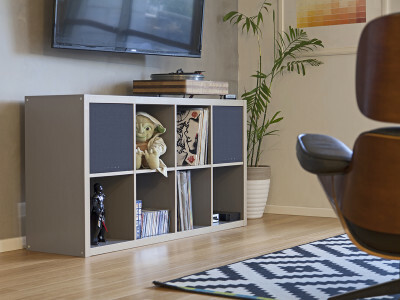 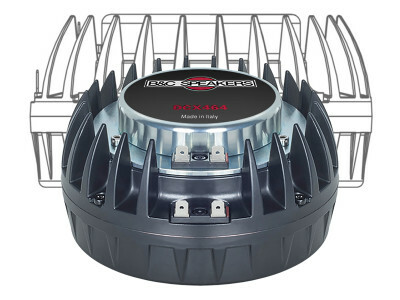 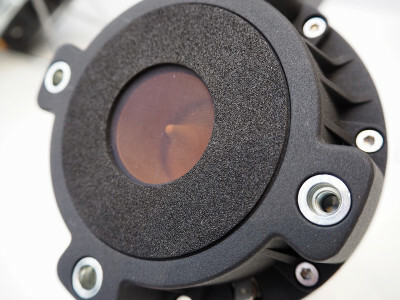 James Croft reviews a patent for a “Self-bias Emitter Circuit,” awarded to Turtle Beach, while Vance Dickason looks at two interesting new high-frequency transducers, from Radian Audio Engineering, and Spanish OEM manufacturer Beyma.